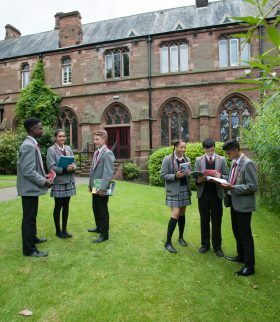 The Junior Departments at Highclare Woodfield and Highclare St Paul’s offer the same broad and balanced curriculum. Importance is placed upon the teaching and learning of English and Mathematics within a broad and balanced curriculum, which meets and exceeds national guidelines, aimed at establishing a solid structure and a basis for every child’s future intellectual growth. Academic excellence is valued and celebrated. Computer network and PC workstation in every classroom. The latest IT developments in a regularly updated computer suite keep pupils up to date with new technology. Use of IT to communicate and support problem solving. The pupil’s cognitive development is supported by use of interactive technology throughout the school. 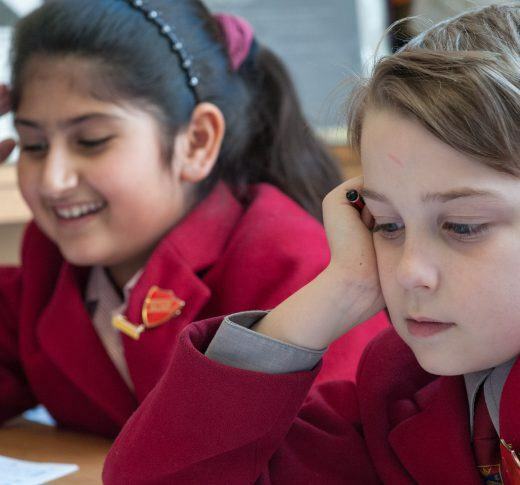 Timetabled lessons in verbal and non-verbal reasoning for grammar school examinations. There is strong emphasis on class teaching and together with small class sizes this enables progress to be monitored closely. Children are taught in very well resourced environments. Pupils are taught by subject specialists for MFL, Music, Science and PE. English (at least 7 hours per week which includes a 1 hour 11+ preparation lesson for J3 to J5). Maths (6 hours per week). Science (2 hours per week). Preparation for 11+ examinations commences in J3, with after school tuition for J5. Computers are used regularly by all pupils and extensive software is available. Pupils have their own Junior fiction and non-fiction libraries. Formal and informal testing takes place throughout the year to enable detailed monitoring and tracking of the children. Regular weekly achievement awards are given. Junior Prize Giving takes place at the end of the Summer term and celebrates achievements of all pupils throughout the year.